Wolfgang Amadeus Mozart Flûte Enchantée KV620 - Conducteur. Flûte Enchantée KV620 - Conducteur. This inexpensive, authoritative edition of Mozart's last opera featuring all the spoken dialogue will be welcomed by all Mozarteans and opera enthusiasts. Translation of German frontmatter. Wolfgang Amadeus Mozart (1756-1791) was born in Salzburg, and began composing at the age of five. His subsequent prolific output included the great operas of his maturity, Le nozze di Figaro, Don Giovanni, Così fan tutte and Die Zauberflöte. 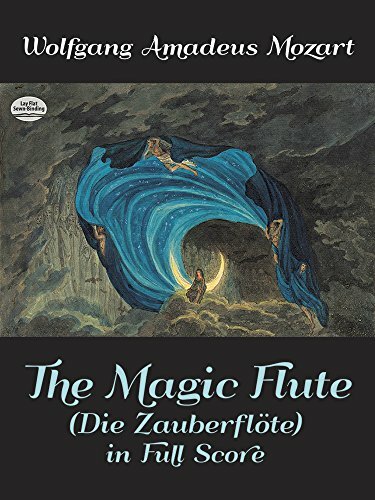 A beautifully illustrated retelling of Mozart's famous opera combined with an audio CD will enchant both readers and music lovers! Edité par FABER MUSIC DISTRIBUTIONS LTD.